Forest W. Miller, 91, of Southington, passed away peacefully at his home on Monday, Nov. 26, 2018. He had been the loving husband of Teresa (Sevigny) Miller for 64 years. Born in Hartford on May 25, 1927 to the late William F. and Elizabeth (Cowan) Miller, he had been a longtime Southington resident. Forest proudly served his country in the U.S. Navy during WWII. He worked as a crane operator for many years and during his retirement, he enjoyed his job as a limo driver. Forest was one-of-a-kind. He had a huge heart, loved meeting new people and was ready and willing to help anybody in need. 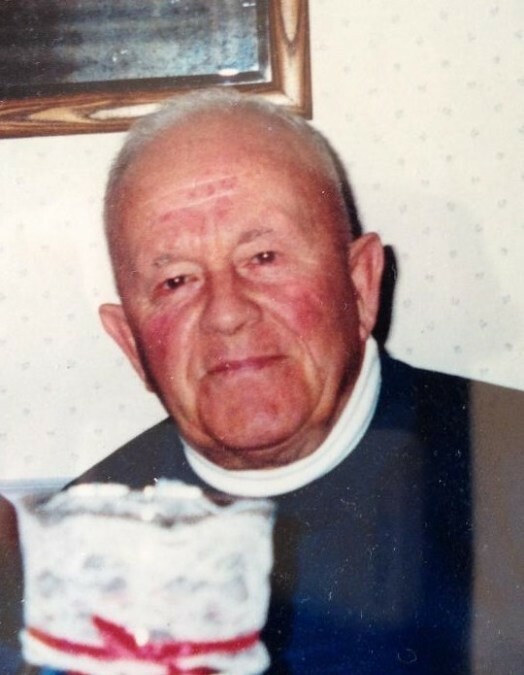 He loved cars and was his grandsons’ number one supporter at every sports game. Forest loved his family and was a devoted husband, father and grandfather. He was happiest when he was surrounded by his entire family. In addition to his wife Teresa, he is survived by his daughter Lori Kennedy of Prospect and son William Miller and his wife Sandra of Bristol, 3 grandchildren, Kyle W. Kennedy and his wife Jonna of Bethel, Justin W. Miller and his girlfriend Kriston of Wolcott and Jessie W. Kennedy of Prospect and one great-granddaughter, Avery Dani Lin Kennedy. He is also survived by his sister, Althea Anderson and her husband Richard of FL and many nieces and nephews. He was predeceased by his son-in-law, Daniel Kennedy, 2 brothers, Norman and Lester Miller and 3 sisters, Eunice Balog, Beverly Hughes and baby sister, Elizabeth. In lieu of flowers, donations in Forest’s memory may be made to the US Department of Veteran’s Affairs, 555 Willard Ave. Newington, CT 06111. Forest's family would like to extend a special thanks to his wonderful caregivers, Barbara, Theresa, Cristiane and Joanna for their compassion and excellent care. A memorial service will be held at 7 p.m. on Thursday, Nov. 29, 2018 at the Plantsville Funeral Home, 975 S. Main St., Plantsville. Military honors will follow. Calling hours will be held before the service from 5 – 7 p.m. Burial will be private and at the convenience of the family. For online condolences and directions, please visit www.plantsvillefuneralhome.com.